The world and its contents are mere adornments for mankind. There is nothing of ours in this world, be it our wife, husband, children, wealth or our position, which shall last forever. Make our life in this temporary world as a place to grab as many rewards as possible and bring it to our life in the everlasting hereafter. Wealth and possession is not the final determinant for the happiness of any individual. How many people out there possess a big house like a palace, with rows of flashy cars, able to buy expensive clothing and ornaments, but has a heart which is anxious, because the family is in a mess? The husband is always busy with business affairs, the wife is always busy handling matters with friends, to the point that the children are left free with their friends without knowing the boundary between halal and haram. The fact is, wealth may be able to buy anything in this world, but it is not able to bring happiness into the heart. Are we not aware that the wealth that we possess actually contains portions that rightfully belong to others’? Therefore, give what is rightfully others’, be it through zakat or donations, which have been commanded and are encouraged in Islam. Therefore, giving zakat, or donating, would not make us poor at all, but instead would make our hearts calmer and our lives even more blessed. Which means: “Of their goods, take alms, that so you might purify and sanctify them; and pray on their behalf. Verily your prayers are a source of security for them: And Allah is One Who hears and knows.” [Al-Quran, Surah at-Taubah, verse 103]. Do not let our own self be made a slave of the wealth that we own. Wealth is not to be shown off to others, with the aim or being boastful, as what was done by Qarun during the time of Prophet Musa AS. Qarun, who was given the blessing of great and unimaginable wealth did not know how to be thankful to Allah for such blessings. On the contrary, he became arrogant, proud and was boastful. Do we want to meet a similar fate like Qarun’s, who was finally destroyed by Allah due to the arrogance and pride he showed as he felt he was very great? Let us make the wealth that we possess as a wasilah, or a medium, for us to get ourselves closer to Allah. Among them is by giving zakat from part of our wealth, so that it may be tasted by others who are less fortunate. Indeed, the giving of zakat, besides it being a command of Allah which must be obeyed, is also proof of the obedience and the conviction of an absolute servant of The Lord Who Owns Everything. 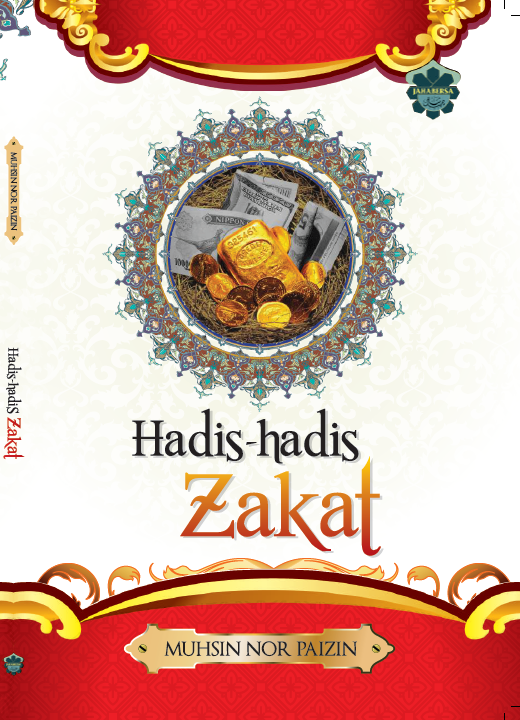 First: Make monthly zakat deductions. This can be performed by making consistent salary deductions for the purpose of zakat every month. Visit any Zakat Collection Center to register ourselves with the scheme. Through that scheme, the salary that we get every month shall have a small amount automatically deducted for the purpose of zakat, without us having to go to the counter again and again. As a result, the salary that we get shall be a source of income that is clean, pure and blessed. Second: Understand the hardship faced by others. Let us imagine the hardships faced by the poor and destitute. Has it not occurred to us that there are those who have not eaten all day? Or is the place that they call home comfortable enough to protect them from the heat of the sun, the rain and the cold of the night? If we have any compassion at all for them, let us help them by reviving the act of donating and also the giving of zakat, within us specifically and within the society generally. Which means: “That which you lay out for increase through the property of (other) people, will have no increase with Allah: but that which you lay out for charity, seeking the Countenance of Allah, (will increase): it is these who will get a recompense multiplied.” [Al-Quran, Surah Ar-Rum, verse 39]. Helping each other and loving each other is very much encouraged in Islam. Even more so if the ones whom we help are our own brothers in religion. Those who are strong should help those who are weak and those who are wealthy should help those who are poor. Such is how Muslims, as the Khaira Ummah, or the Best of People, on earth should always invite towards charity and prevent evil. Which means: “The hand above is better than the hand below. The hand above gives while the hand below wants.” [Narrated by Al-Bukhari and Muslim].